Cosmo Alexandre has been a very busy fighter since I first interviewed him. Cosmo has won the It’s Showtime World championship, and was a finalist in the 2010 King’s Cup tournament in Thailand and actively trains at Link Brazillian Jiu Jitsu gyms in Massachusetts home of UFC fighter Gabriel Gonzaga to prepare for his MMA career. I have to say with some amount of pride that Cosmo first granted that first interview with me before he became as well known and widely celebrated as he is now. Cosmo and I were previously going to meet up in person in Vancouver, Washington and Cosmo as always, graciously agreed. However due to time constraints and literally moving 1500 miles away I never could make that encounter happen. Cosmo has typically been more than gracious and extremely easy to talk to. In my opinion while Cosmo’s level of fame has changed his personable and polite manner never has. Thanks very much to Cosmo Alexandre for agreeing to do a follow-up interview. Question: How are things going for you now that you are in the United States? Answer: Everything is great, thank you. Here I can train Muay Thai, BJJ, wrestling and boxing all in one place. I love that. What prompted you to train first in Vancouver, WA and now Ludlow, MA? I went there to check out a gym in Vancouver, WA. I had some invitations to gyms in the United States and I needed to check it all. For some of the people who may not know what happened with It’s Showtime terminating your contract after you decided to participate in the King’s Cup tournament in Thailand could you give a description of what happened? Yes, before that, I had some problems with It’s Show Time, and this time they told me I couldn’t fight in King’s Cup. Since, my choices were one of the two, I needed to choose . Kings Cup or It’s Showtime: I didn’t need to think twice. I chose King’s Cup. What are some of the things you now teach at Link Brazillian Jiujitsu in Ludlow, MA? I’m teaching them all about Muay Thai. Some fans wonder if you will eventually leave Muay Thai to do only MMA. Will you be readying to go to MMA full time? I will never stop doing fights in Muay Thai , I love it! But now I want to fight MMA too and I really want to win major titles. Do you still plan on making future trips to Thailand? Yes of course! I love Thailand. I love to train there! I like the good weather and the good food! And I have many good friends there! Many fans felt you perhaps deserved the win over Yodsanklai in the King’s Cup tournament. How do you feel about the fight? Where in the world you like to fight next? I will fight in Italy against Giorgio Petrosyan. It will be a very good fight! Do you feel that due to you and Leo Monteiro’s success and reasonably high profile internationally in Muay Thai that Brazil has started to learn more real Muay Thai? Yes, we hope so. But in Brazil it is hard because you can train real Muay Thai but there is no Muay Thai events. In Brazil it is just K-1 rules events. What do you think Brazil needs to grow more as a nation in Muay Thai? 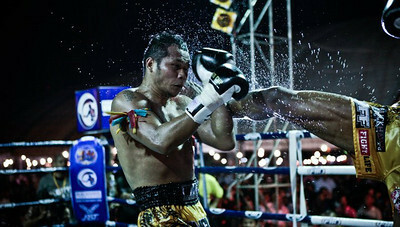 We need more real Muay Thai events with elbows, clinch and rules like in Thailand. For MMA what are some important things you have learned? I’m doing wrestling and Brazillian Jiujitsu. I really need to train it! Who influenced you most in Muay Thai? I am influenced by many Thai fighters like Sakmongkol, Pajusunk, Orono, and Samart. When you won the It’s Showtime championship I noticed it was at a larger weight. What weight do you feel most comfortable at competing at for Muay Thai? That’s true brother. I really like to fight in 72.5 kg. It’s the perfect weight for me. Is there a gym you prefer to train at when you are in Thailand? I have always trained in Rompsrithong Gym (Click the link for the excellent Siamfightmag.com review of the gym) and it is close to Bangkok. Rompsrithong is a very nice camp if you want just train real Muay Thai. What interested you in competing in MMA? I like taking on new challenges and everybody knows that the money in MMA is just better. Because you are almost always training away from your home country in Brazil how do you stay in touch with your family when training? When I stay a long time away from my home I take my family with me. When I just fight in another country, I usually go alone if it takes just a couple of days. Will you return to Holland for fights or would you be interested in fighting in France where full rules are common for Muay Thai? I can fight in any country for sure. Do you plan on fighting for the World Professional Muay Thai Federation (WPMF) again where you won a world title? I want to fight every where, for any sanction. I love competing! 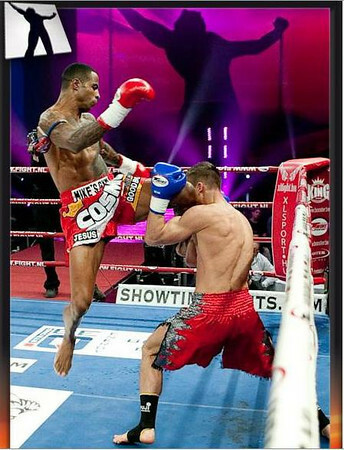 Many fans often wonder what Cosmo Alexandre is doing. What can you tell your fans about future plans for yourself and for your fighting career? All I know is that I want to keep on training hard as always and continue improving my style and giving you all good shows! ~ by fatsoking on January 28, 2011. Cosmo is the got damn boss! Genuinely a nice guy too!